Leaves are glaucus-green. 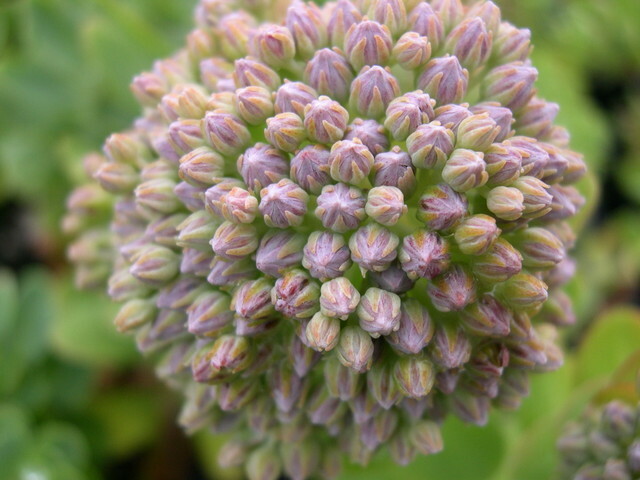 Tight, round flower heads with violet buds opening to red-purple flowers in the fall. In winter, trailing 8 inch stems are devoid of leaves except at stem tips. Will tolerate some shade but does best in full sun with some moisture for the roots. Never invasive. Native to Italy, France and Spain.